You are here: Home / The Ultimate Guide To A Gluten Free Diet / What Does “Gluten Free” Mean? In the last ten years, public awareness of eating gluten free food has dramatically increased. Most supermarkets have changed their labeling to help consumers identify gluten in foods, and many stock an increasing number of gluten free foods. But what is a gluten free diet? Why do people follow this kind of eating plan, and what are the advantages and disadvantages of a gluten free diet? There are many reasons why people might opt for gluten free. Most often, the reason is to improve health or to help to control a specific medical condition. 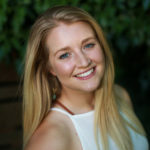 With increasing awareness about gluten free eating, there is now more and more research about going gluten free, so let’s explore what gluten free actually means, what the scientists say about it, and the impact it can have on your life. A gluten free diet is an eating plan which does not include any forms of wheat, barley, rye. All of these grains contain a substance called gluten. Gluten is made up of two different types of protein found in many cereal grains. It provides nutrition for the grains, and as a component of flour after the grains are made into flour, it makes dough more elastic and chewy. As an ingredient, gluten can be found in a variety of different foods, including bread, some French fries, pasta, many sauces, salad dressings and soups, beer and bread. All the versions of these foods that contain gluten must be avoided. People with gluten-related disorders, such as autoimmune diseases, of which the most common is celiac disease, allergic responses, which affects between one and three percent of the population (1), and other people with negative reactions to gluten with unknown mechanisms. 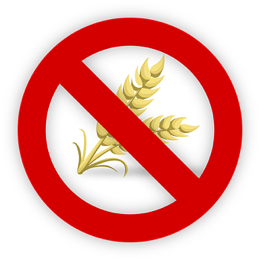 A gluten free diet is important for people with any type of intolerance to gluten because it is currently the only way to treat the damage caused. When gluten is removed from the diet, the intestines are able to heal the damage that has been caused. We offer meal plans to make going gluten free easy as can be. Join our community today! Celiac disease is a genetic autoimmune condition in which consuming gluten results in damage in the small intestine. According to the Celiac Disease Foundation, it is estimated that one in every hundred people have Celiac disease worldwide, and around two and a half million cases in the US are undiagnosed, as it can present with no symptoms (2). If it remains untreated, celiac disease can increase the risk of diabetes, multiple sclerosis and other neurological conditions such as epilepsy, dermatitis, anemia, osteoporosis, infertility, miscarriage and intestinal cancer (3). 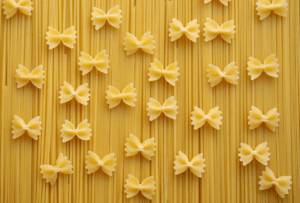 Research has shown that a gluten free diet has a marked positive effect on symptoms. One study demonstrated a significant improvement in patient’s’ quality of life and depressive symptoms in celiac patients following a gluten free diet (4). 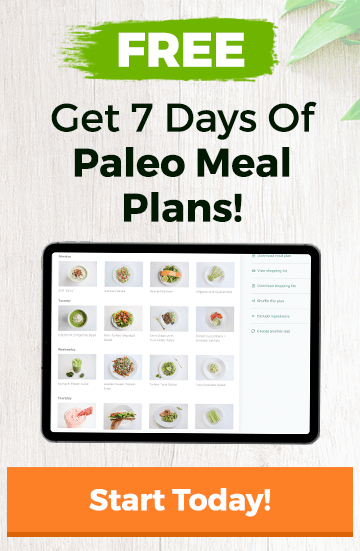 If you have celiac disease, you may find our autoimmune protocol meal plans helpful. Find more info here. When it comes to foods that contain gluten, there are many foods which naturally don’t contain any gluten, such as fruit and vegetables, and these don’t pose any problem in a gluten free eating plan. 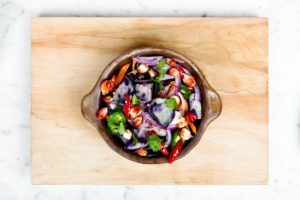 The biggest change, and often the most challenging aspect of a gluten free diet is what to eat instead of regular bread, pizza, pasta and cereals. However, many companies produce gluten free version of all kind of regular food. There are many grains that don’t contain gluten, such as corn, rice, millet, quinoa, buckwheat and teff, an Ethiopian grain used to make flatbread which is now available online. While major stores now stock many gluten free products, natural food and health food stores are good sources to try, and there is a great variety of companies who now sell gluten free foods online. Going gluten free can help some people lose weight. However, this depends on which gluten free foods you choose. A diet consisting of mostly natural, unprocessed foods which are gluten free may help with weight loss. However, many of the gluten free processed foods contain extra sugar or fat to help improve taste, and can lead to weight gain if they are not part of a balanced eating plan. Many studies have found that people on gluten free diets consume a higher amount of sugar, fats and less fiber than regular diets (5). Gluten free eating can also mean that people miss out on vital micronutrients, such as folate, calcium, iron, zinc and magnesium, have lower levels of vitamin D compared to a regular diet (6). Adopting a gluten free diet can be an important decision which helps to improve your health. It can be a challenge, but going gluten free doesn’t mean you have to miss out on all your favorite foods, although you need to be prepared to compromise and adapt. It is important to be aware, however, that a gluten free diet is not without its problems. Anyone on a gluten free diet needs to take particular care that they are getting all of the nutrients they need for optimum health. When considering a gluten free diet, the best plan for good health is to try to make sure that most of your diet consists of a wide variety of wholesome natural foods. Use the range of available gluten free foods sparingly to help you make gluten free versions of the foods you miss the most.